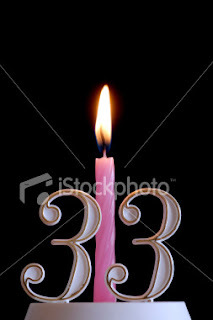 Today is my 33rd Birthday! I usually try to take my birthday off and enjoy the day. However I have been off many days this year for different workshops and I just didn't feel like I should take off this time. I'm also trying to conserve all of my sick/personal days for my future trip to China. Tonight mom is taking me to my favorite restaraunt for dinner. I think I'm purchasing a very nice present for myself...I'm researching different digital cameras and will go test them out on Saturday. The shutter lag time on my digital camera is to long and it's only a 4 megapixel with a 3x zoom. The LCD screen is also too small. So I'm donating it to my classroom use in order to upgrade to a better camera. I've got a lot to learn between now and Saturday. I'm not that tech savvy, but I just want a camera that will quickly snap a picture without a lag time and also one that I can see the image clearly on the lcd screen. I have several trips planned this spring and summer and a good camera is a must! So happy birthday to me! This will be my birthday theme song for this year!